Scott Kelby, editor-in-chief of Photoshop User magazine, published on his blog that, with Foliobook, "I have finally found my portfolio app for the iPad" Foliobook is the iPad app that the worlds greatest photographers love. Its beautiful and minimal look is coupled with incredibly deep customisation. Its almost like having a personal app developer sitting next to you. Developed in partnership with award winning advertising photographers, Folibook is focused on making your work look great. Whether you use the iPad alone or alongside a printed portfolio, Foliobook allows your brand to be consistent across web, print and iPad for a truly professional presentation. 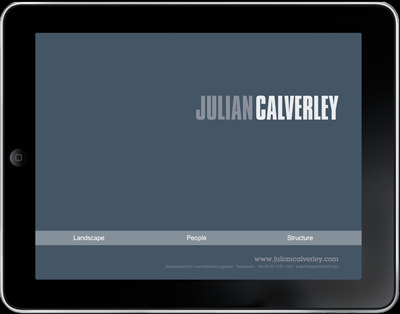 Foliobook is practical, its backup feature allows a single portfolio to be loaded onto multiple iPads, and a read only mode means that clients aren't able to change the presentation. 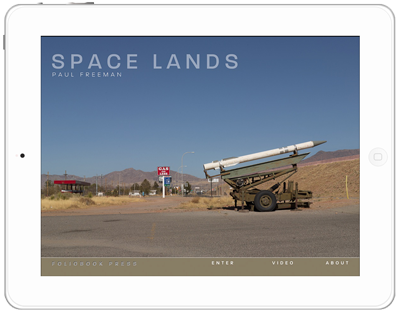 Foliobook is more than a slideshow. With Foliobook you can build an electronic book, hyperlinked like a website that contains both stills and motion content. 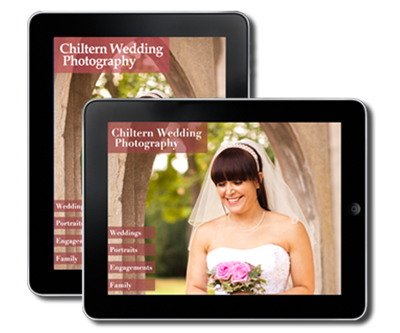 Foliobook provides four types of menu which allow a quick organisation of galleries and further categories of images. The customisation allows control over both portrait and landscape formats. A theme based design wizard allows inbuilt designs to be instantly applied to get started, then branding and logo can be further adjusted to suit your needs. Foliobooks deep customisation capability allows your branding to stand out while management details are hidden away until you need them. As a result its always your images and branding that come first. Pro photographers love this approach as do online magazines like Professional Photographer and Photo District News. Foliobook can be used by any kind of photographer artist and designer, whether you are an advertising photographer presenting their work to a client, a wedding photographer showing their work to a couple about to be married, or a designer showing moodboard and finished pieces to a potential client, Foliobook’s minimalist design allows your creativity to be at the forefront. Foliobook is productive When Foliobook’s read-only lock is off you can use gestures to easily add, remove and manage your images and videos, organise them into galleries or create and modify your branding. 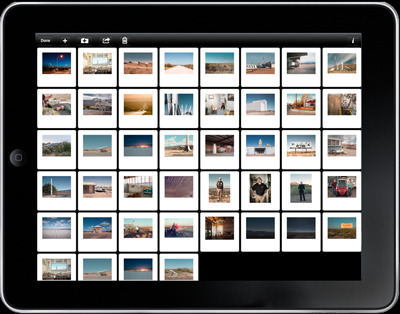 Foliobook’s image management allows you to add your pictures rapidly. Foliobook allows you to load many images with a single operation, now you can load your iPad pictures quickly with no more ‘pecking’ at each image and waiting. 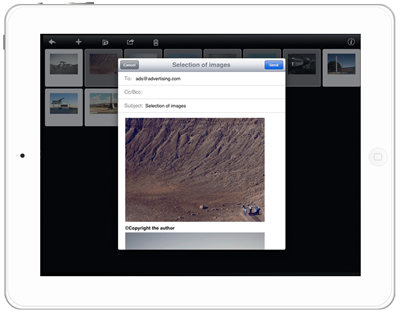 Or load a whole folder of up to 100 images in a go. You can also create multi image emails to rapidly send a selection to a contact. Foliobook offers richer ways to show images Once you’ve added pictures, use Foliobook’s custom transition engine to show your work off gracefully. Foliobook has a dissolve transition suitable for very large images, a wipe transition for normal images and a unique ‘Foliobook’ transition which emulates moving images in a portfolio box. You can adjust the timing of transitions and the fit of images so that even if your pictures are not sized precisely for the iPad they are automatically fitted into the view. Use pinch gestures to zoom into the detail in a large image, slide your finger to find details and just tap to return to the slideshow.